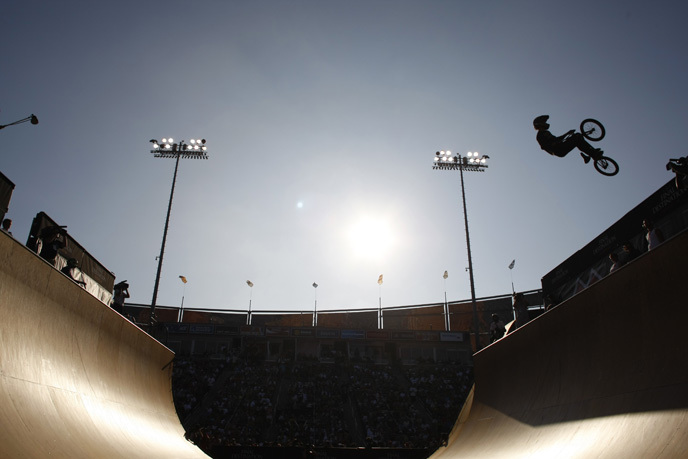 I just returned Monday from covering Summer X Games 15 in Los Angeles. It was my 14th year of covering one of America’s most unique and , I feel, sometimes underrated sports events. I missed summer 2004 when Denver Bronco John Elway was inducted into the NFL’s Pro Football Hall of Fame in Canton Ohio. I got back at her this year however. I missed a portion of the extreme events because of a conflict with Denver Bronco training camp. 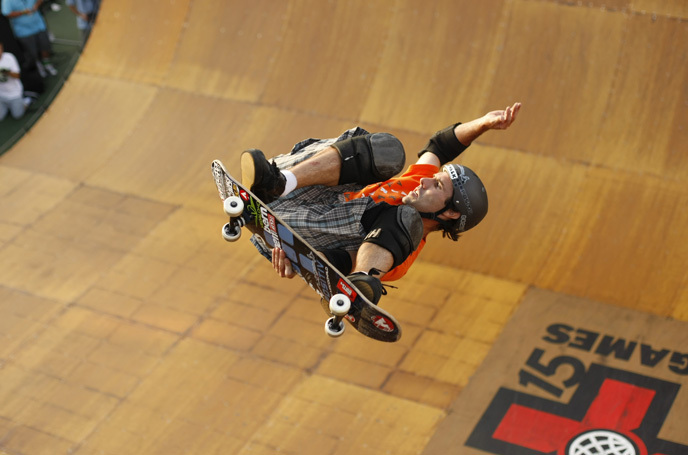 Newly appointed head coach Josh McDaniels who hails from Amy’s beloved New England Patriots scheduled the opening of training camp the same time as X Games. So when I broke the news to her that I would be a little late to “her” event, I told her that new knuckle-headed coach from New England needs to get his priorities straight. As usual the Games were full of solid action and the courses continue to get better as do the athletes. Here are a few of my favorites from X15. Even fifteen years later, Andy Macdonald is still huckin' with the best of them.